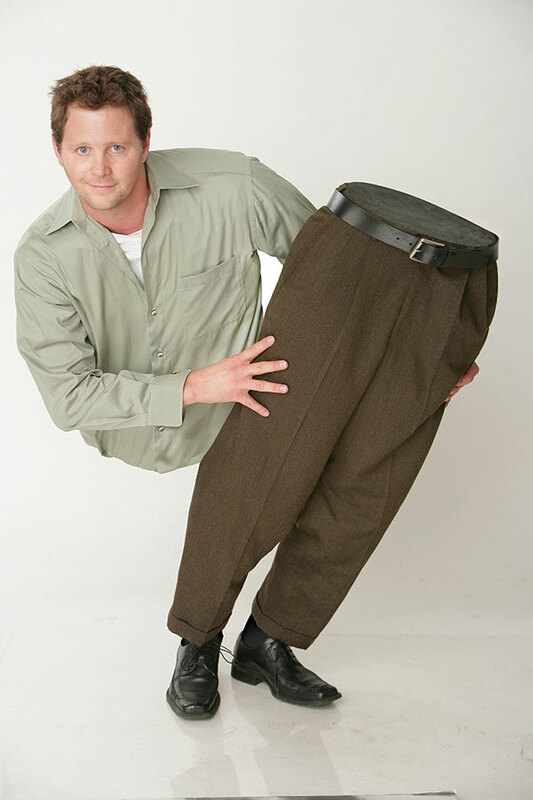 The Illinois Central College Guest Artists Series brings comedy, ventriloquism, magic and more to the stage when Andy “The Split Man” Gross presents The Mind-Boggling Variety Show on Fri., March 10 at 7:30 pm in the ICC Performing Arts Center, located on the East Peoria Campus. Gross is a multi-talented entertainer who combines comedy, ventriloquism and magic to create an amazing show. The YouTube video for his “split man” trick went viral and has been viewed more than 7 million times. Gross first got into performing when he was only 9 years old. After watching the movie Magic, he instantly became fascinated with ventriloquism. He currently has over 250 dummies, some more than 150 years old. Currently Gross performs more than 150 live shows each year at venues such as comedy clubs, colleges and performing arts centers across the United States. He has also made several TV appearances, performing on The Ellen Show and an NBC special. As it does for all ICC Guest Artists Series events, CityLink provides Park and Ride service from Peoria for the performance. Buses leave Evergreen Square near the former Lenscrafters building at 6:45 pm and transport passengers directly to the ICC Performing Arts Center. Buses return to Evergreen Square immediately after the show. Fares are $1 one-way. Senior citizens 65 years of age and older with verification can ride for 50 cents one way. The ICC Guest Artists Series is a season of shows presented throughout the academic year featuring professional, touring performers. The series includes a variety of entertainment types, including music, comedy, theatrical presentations and more. The event is presented by the Arts at ICC. The Arts at ICC has a rich history of enhancing the arts community and expanding education beyond the classroom. Arts at ICC presents more than 500 exhibits, performances, lectures, rehearsals, meetings, master classes, clinics, seminars, receptions, orientations, forums, auditions and tournaments annually. Tickets to the show cost $20 for the general public and $10 for students. Tickets can be purchased online at ArtsAtICC.com or by calling the box office at (309) 694-5136.